I have to admit, I was pretty ignorant when it came to the genius that is Taraji P. Henson before I started watching Empire . I mean, I'm pretty sure I'd seen her in Boston Legal or Person of Interest on the rare occasions I tuned into those shows, but it wasn't until she became Cookie Lyon that my brain suddenly clicked on and I took notice. I'm not alone in that, of course. Empire became a massive hit nearly as soon as it hit the air, and for good reason: it's incredibly addicting and features some great storylines, catchy music, and yeah, Cookie. And while it was amazing that we had 12 full weeks of Cookie goodness, now we're at an impasse because Season 1 of Empire is over and Season 2 doesn't start for another three months. What's a girl to do? While we may not have Henson back as Cookie until the end of summer, it doesn't mean we can't keep our withdrawal at bay in other ways. Henson rarely stays still for long, so why not catch up on other Cookie-ish things while we're waiting for Empire to air again? There's plenty out there to keep you occupied, that's for sure. Henson is super active on Twitter and Instagram, posting updates on her day to day life, as well as retweeting and responding to fan posts. Not only can you stay up to date on what she's doing and get some behind-the-scenes Empire scoop, but you might even get a shout out if you're lucky. Double win! For instance, it was recently announced that Henson will star in The Best of Enemies , a movie about civil rights activist Ann Atwater's decade long battle with the KKK. Plus, according to her IMDB page, Henson recently completed work on a movie called Term Life, and will also appear in Richard Pryor: Is It Something I Said?, so there's plenty to get excited about. Henson appears on the cover of W Mag's August issue, and the pictures are stunning. There's also an accompanying interview that's a must-read for any Henson fan, and I bet you can totally spend at least a good month swooning over the feature. I know I will. I honestly have no idea how some of these Hollywood stars manage to accomplish everything they do in a day. Clearly it's not easy, as Henson recently proved when she posted a photo of herself in hospital, receiving IV treatment for exhaustion. She's fine, but it just goes to show you CAN do too much. 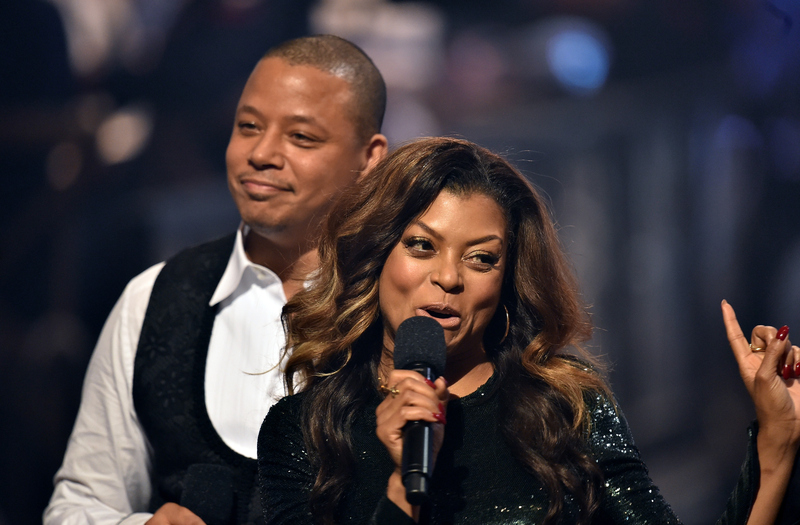 It was recently announced that Henson and Empire co-star Terrence Howard will compete on an episode of Lip Sync Battle airing on August 20. It's going to be absolutely amazing and given that it's a whole month before Empire Season 2 airs, it's something a little more tangible to look forward to.